On September 26 2015, Hikers For Life launched and made public of their hiking destination guide – Share My Hikes. 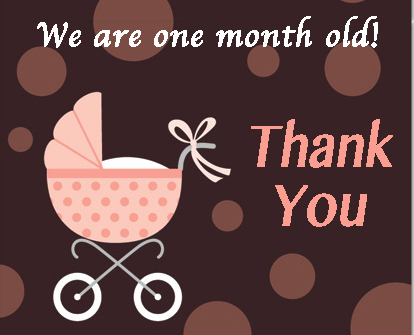 Today, the 26th October 2015, we are one month old. This is like a baby shower moment for us. I can’t help but to glee a little for this little milestone we have achieved. You see, we are hikers, not web programmers. After some pain and difficulty, we somehow managed to figure out every single part of this entire website. We did it through reading a ton of tutorials, asking questions, getting frustrated and generally messing around. When we got the idea of setting up an online community hiking destination guide, we have no idea how to make it work. We are not funded so we dismiss the option of hiring a web programmer. But we have one very clear idea in mind. We are passionate about hiking and we want to share it. Therefore, we see Hikers For Life as our passion project – A project we believe will help and benefit the entire hiking community. A project we believe can empower others to be able to plan their own hiking trips. A project we believe so much in that we are willing to develop it from funding through our own pockets. The launch of the website is like the birth of our baby. As a baby, there’s still so much room to grow. We are constantly looking into improving the website. Hence, we are looking for writers, contributors, web programmers or anyone who wants to volunteer to be part of Hikers For Life’s growth. You can contacts us at contact@hikersforlife.com or through any of our social media accounts, Facebook, Instagram and Youtube. Follow us if you have not done so! We will check back in a year’s time to see our progress. Happy 1st month, Hikers For Life!